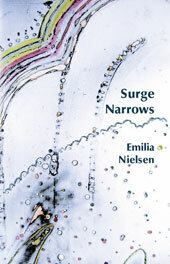 I wish I had had queer poet Emilia Nielsen’s collection of poetry Surge Narrows when I was land-locked and stuck living in Onterrible (I say that with love, I promise). Maybe it would have been too painful, though, to be reminded of the ocean while riding on a boat, of “fac[ing] / forward eager for the sting on my skin.” The collection is such a rich evocation of the animals and plants and landscapes of the Pacific Northwest. If you’re looking for poetry that is people-focused, this probably isn’t the collection for you. It’s not that these poems aren’t peppered with people, but they often take a backseat to nature. When there are human beings, it’s still usually the environment that’s the main character. Human revelations are discovered through nature. I would highly recommend this book for those who love or are native to the west coast. It’s so lovely to read a poem that compares “unruly hair” to old man’s beard (it’s a kind of moss that’s especially useful as nature’s toilet paper—you’re welcome). To me, reading these poems is like a trip home, to the woods behind the house where I grew up, to the landscapes I drove through on road trips, to the secluded beaches and forests I miss when I’m living in the big city. If you need another reason to pick up this book, let me tell you Emilia Nielsen has top-rate taste in fellow Canadian women poets; she quotes Roo Borson (“I think my heart is a sad device”) and Phyllis Webb (“My universe opens. I close. / And open, just to surprise you.”) Are not you convinced? This part immediately reminded me of Gerald Manley Hopkins’s poem, “God’s Grandeur.” When I re-read the Hopkins poem I realized I had picked up on an echo of the world “foil.” Hokins writes “The World is charged with the grandeur of God. / It will flame out, like shining from shook foil;”. I think the two poets have more in common, though, sharing a deep, intense devotion to the natural world, whatever spiritual direction that might (have) lead them. The heart’s skinny dipping. It’s gone fishing Glib. Glee. blesses all who populate its corners. It’s on a camp-out. I’ll just let that speak for itself. 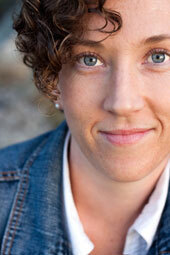 This entry was posted in Canadian, Lesbian, Poetry, Queer, Vancouver and tagged leaf press, literature, nature poetry, west coast, women poets. Bookmark the permalink. Surge Narrows sounds great. I’m looking for a copy right now. It should be available at some bookstores in Vancouver or through the publisher’s website. Glad to hear my review persuaded you to check it out!